The 2015 Ford Figo hatchback has been launched in India at a starting price tag of INR 4.29 lakhs for the base petrol variant and INR 5.29 lakhs for the base diesel variant with three engine options 1.2 petrol, 1.5 diesel and 1.5 petrol. 1.2 petrol and 1.5 diesel are mated to a 5 speed manual gear box, whereas the higher displacement 1.5 petrol is available with a six speed automatic dual clutch transmission. The 1.2 petrol churns out 88 PS power and 112 NM of torque, on the other hand the 1.5 petrol gives 112 PS power and 136 NM of torque. Diesel 1.5 churns out 100 PS of power with 115 NM of torque. The ARAI mileage for the 1.2 petrol stands at 18.16 km/l and 25.83 Km/l for the 1.5 diesel. 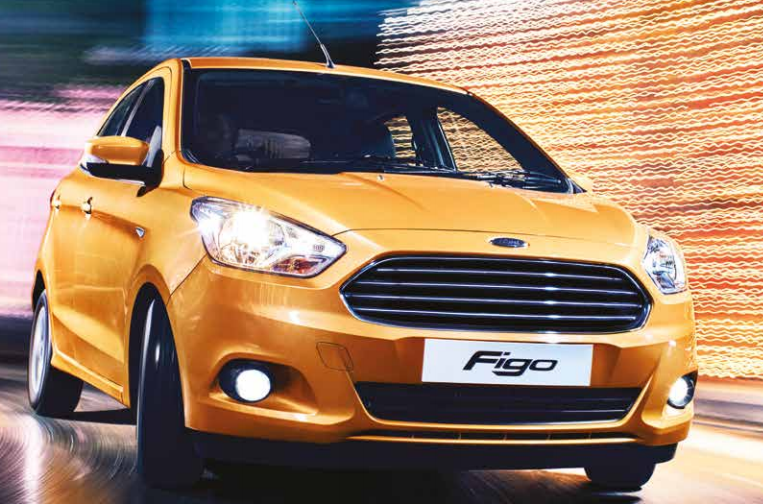 2015 Ford Figo hatchback measures 3886 mm in length 1695 mm in width and 1525 mm in legth with a wheelbase of 2491 mm. Ground clearance of 174 mm and 257 liters of boot.